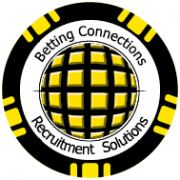 With more than 20 professionals Betting Connections Recruitment Solutions is Malta’s largest iGaming recruitment specialist. Our team of highly skilled recruitment and career consultants are dedicated to providing the best and most personalised service in the industry. We pride ourselves on our ability to fully understand the needs of both our clients and candidates alike, which we achieve through developing long term relationships and our extensive knowledge of both the iGaming industry and recruitment! We operate throughout most European countries and all of the iGaming hubs across the globe, currently providing support for the industry’s leading operators and suppliers! We are 100% committed to making that perfect match between employers and jobseekers across all functions within the industry.